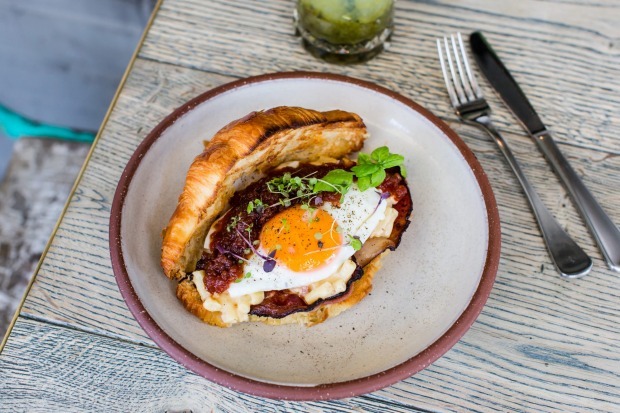 Are the days numbered for egg-centric brekkies on cafe menus? 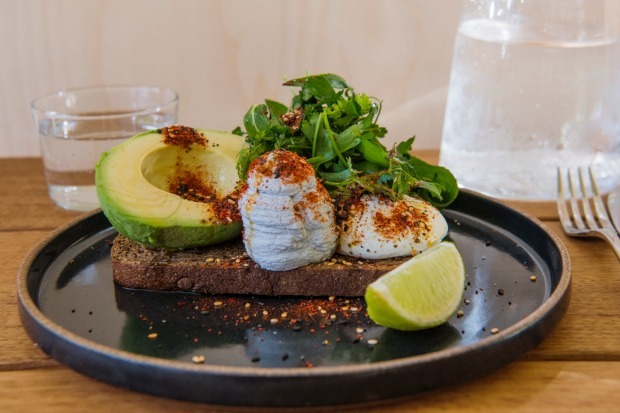 Going by the offerings at some of Sydney's best new cafes (and older favourites), there's certainly a lean away from the usual sunrise suspects towards dishes generally more at home on dinner menus at restaurants. At Meet Mica in Surry Hills, there's confit duck with cha soba noodles, rocket, radish, cherry tomatoes and wasabi-lime dressing; at Matinee in Marrickville, the breakfast might be cassoulet with coffee-rubbed chilli fennel pork shoulder; and at Edition Haymarket the line-up includes the likes of miso-glazed lamb rump with smoked mash and charred sprouts. 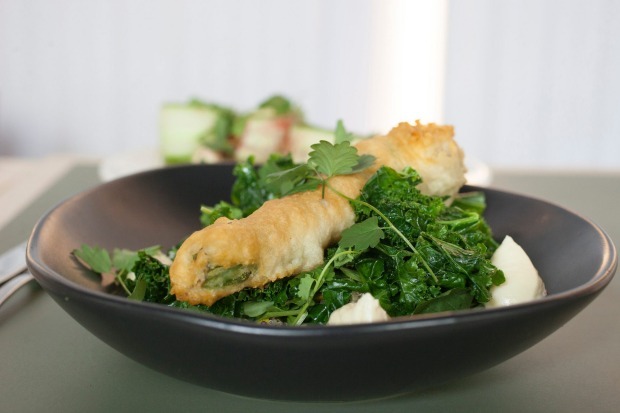 In other instances, there's a merging of breakfast and dinner favourites. 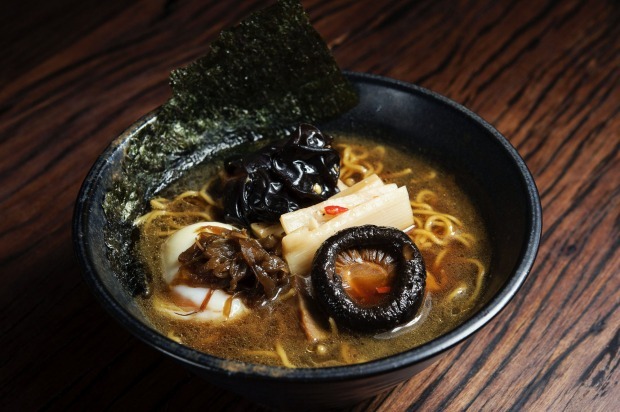 Barbetta at Paddington does carbonara scrambled eggs, for example, and at older favourite, Newtown's Rising Sun Workshop, the breakfast ramen is still going strong (butter toast bone broth with bacon, eggs, tomato and noodles). Rising Sun Workshop also does breakfast bibimbap, and a rendition of this Korean classic is also on the menu at Ruby's, Waverley. 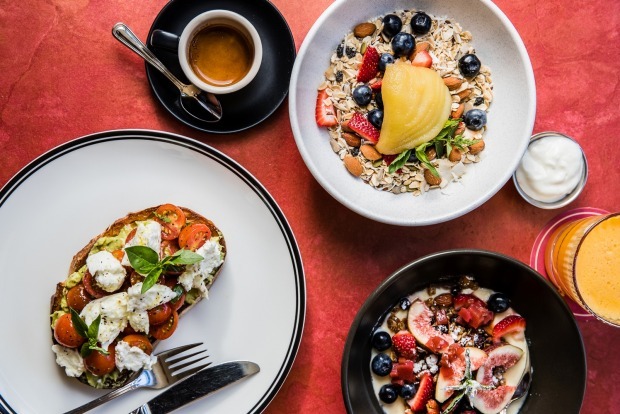 Add to this broadening coffee choices, and baristas who discuss coffee as a sommelier would wine (ONA Marrickville, a prime example), and it seems breakfast is becoming endlessly more sophisticated. 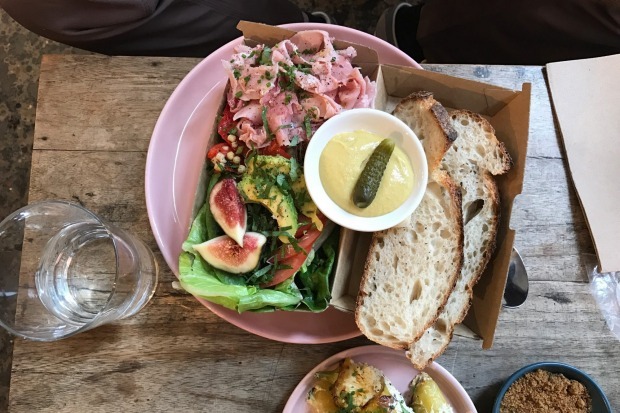 The best bit though, is that while dinner might be trying to pull double shifts, its foray into morning menus hasn't meant our cafes have become less casual and sunshiny (or that we can't still get eggs for breakfast!). Our faves for this year – be they on-trend or otherwise – are simply places where we've loved whiling away our days at. The tagline "experience Italy" sums up this wonderfully retro bar and cafe by the family behind fine-diner Cipri (just a few doors down). 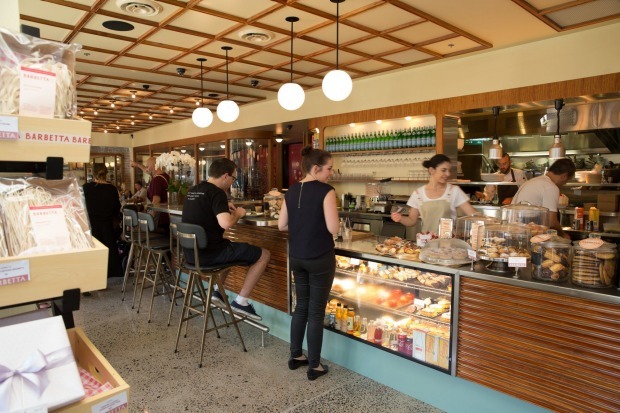 Part cafe and espresso bar, part food store, part Italian cooking school, Barbetta is a marvel of old-fashioned booth seating, chrome-edged tables, high-sheen wood and glass. 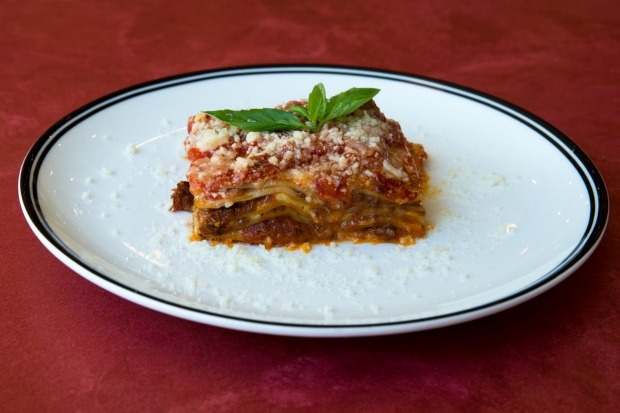 Familiar Italian dishes get a brekkie twist – think carbonara recast as scrambled eggs on toast – and the lunch menu bills the lasagne as "best ever'' (it's top comfort food). There's a gelato cart, cannoli and other sweet treats, plus Toby's Estate coffee. It's the cafe guaranteed to make you smile. 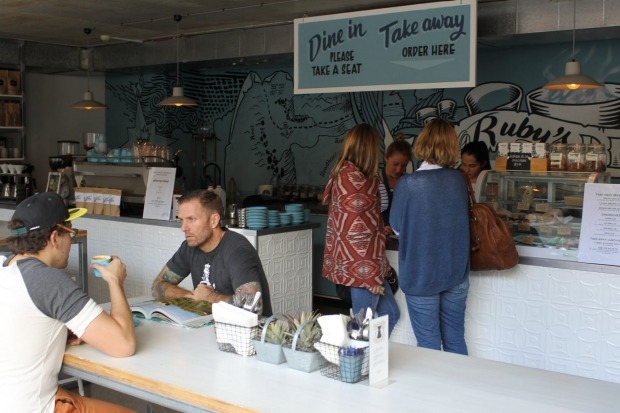 The menu brims with puns, the decor is bright and cheery, and sunshine floods an outdoor eating area and interiors. Need more to celebrate? 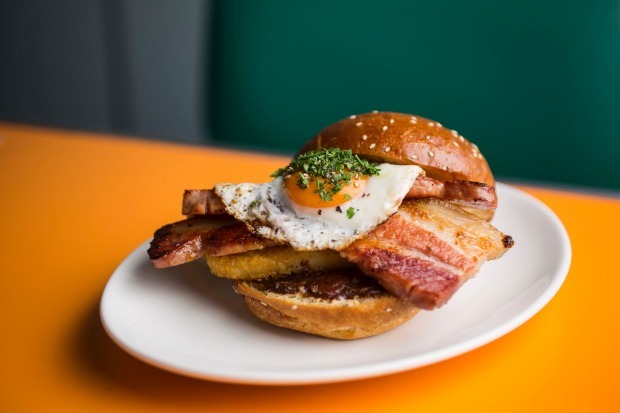 There's an extensive bar, excellent coffee (by Reformatory Lab), and playful dishes such as Pimp Mi Goreng, a crunchy noodle-encrusted chicken thigh on a burger with house-made kim chi, maple bacon, avo and coriander aioli. An annual Bacon Festival showcases the fine offerings of Marrickville's Black Forest Smokehouse. Also at Newtown. 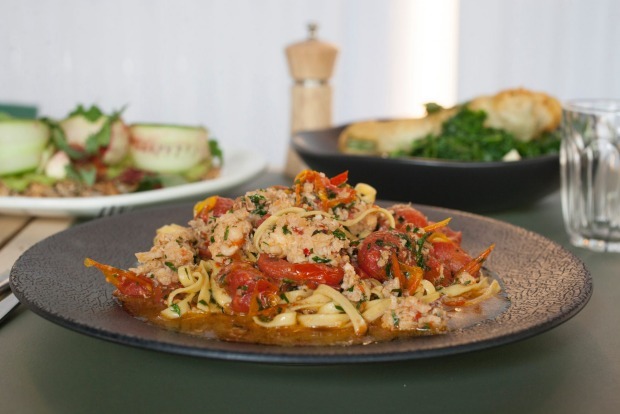 Devon Cafe's third Sydney outpost – bright and industrial, with a good dose of soft furnishings and greenery throughout – echoes with suits in casual conversation as they eat from a menu that's very-Devon with a few healthier additions such as linguine with blue swimmer crab, chilli, and cherry tomatoes. 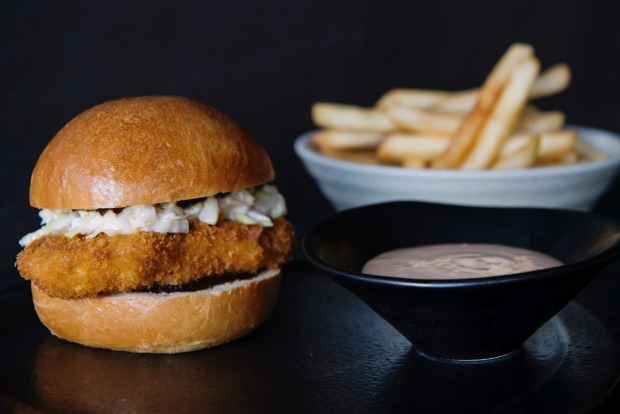 Sandos on soft white bread feature (one with panko-crumbed prawns, cabbage slaw and warming tom yum mayo is a crunchy, creamy delight), along with the classic soft serve and chips combo. 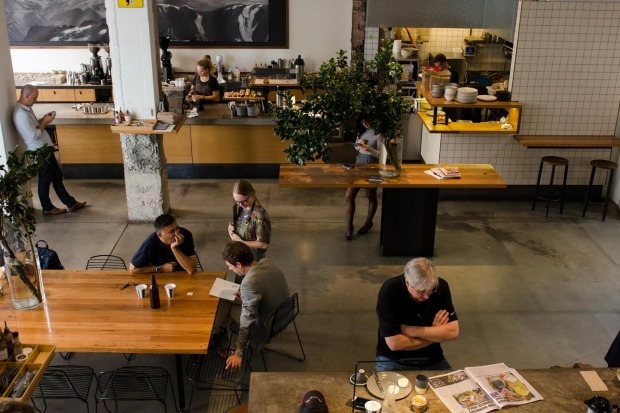 Take the black-on-white wall mural of a coffee plant as a big hint to what this chilled-out cafe excels in. 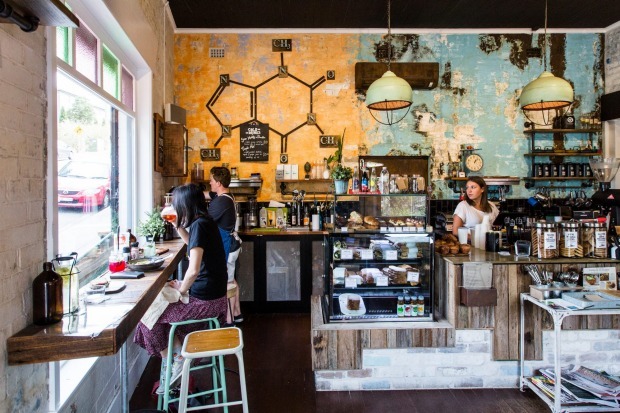 But it's no surprise the coffee's great, given the owner is former Coffee Alchemy head barista Daniel Karaconji. 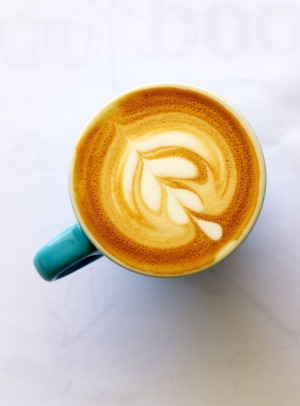 Beans are from Panorama Coffee Roasters, with a range of single origins on offer from various boutique roasters. 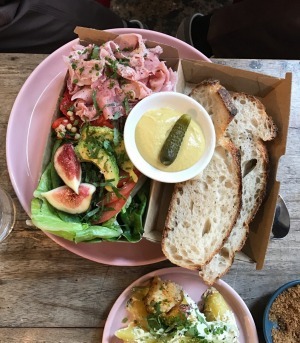 And the food is simple but satisfying – sandwiches stuffed with Karaconji's wife Elizabeth's saucy homemade meatballs, pesto, parmesan and rocket are a popular special. Keep your eyes peeled for nostalgia-inducing home-baked cakes, too. 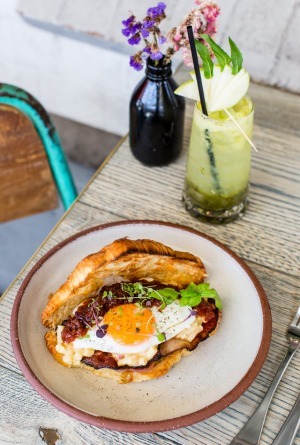 The original Darlinghurst location remains a favourite, joined now by this larger, additional Edition. It has a similar Nordic-Japanese theme, with a lean towards the latter, especially in regards to the space: mesmerisingly matte, completely black and gunmetal grey, with sunken seating option. 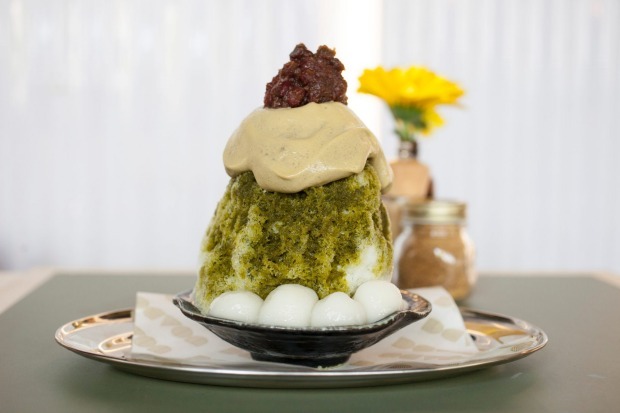 Dishes range from fine-diner worthy creamy butter poached prawns topped with roe and crunchy puffed tapioca senbei, to pork katsu milk bun burgers, while super fluffy Japanese souffle pancakes are destined for a cult following. Coffee, Edition's own roast, is excellent, as is the tea, and it's fitting there's top miso soup on offer, too. 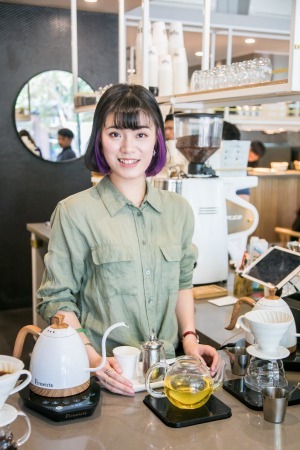 This high-caffeine, high-carb escape from the hub has a mini-amphitheatre setup that creates a communal feel and puts the baristas centrestage. 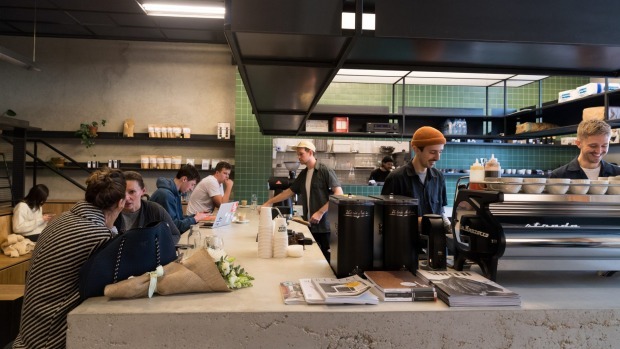 Good thing their coffee game is strong: Single O and rotating guest roasters provide beans, while a Mavam espresso machine complements the minimalist industrial fit-out. 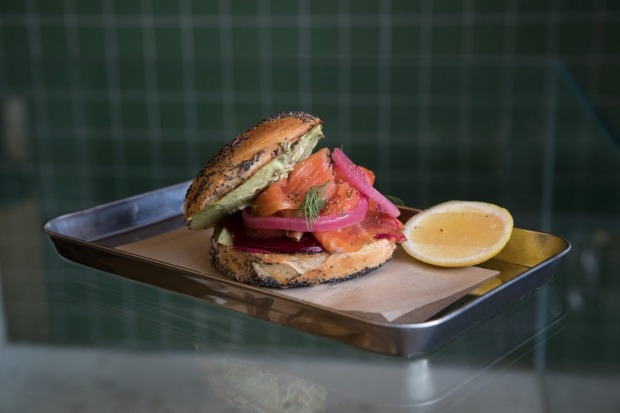 From the kitchen are properly boiled then baked bagels with plenty of toppings to choose from – perhaps simple house-made cream cheese and chives, or a brekkie bagel with boiled egg, ham, gremolata mayo, rocket and tomato relish. There's also pizza by the slice, toasties and sweets. 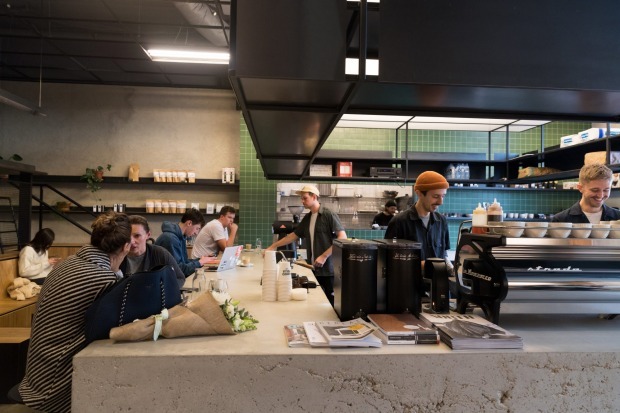 Estate agents would just about pass out spruiking the "location, location, location" of this new cafe by Andrew Carter (previously of Summer Hill's Heritage Coffee Brewers). Basking in the sun right on the sparkling water at Elizabeth Bay Marina, it's a true, contented-sigh-inducing spot. 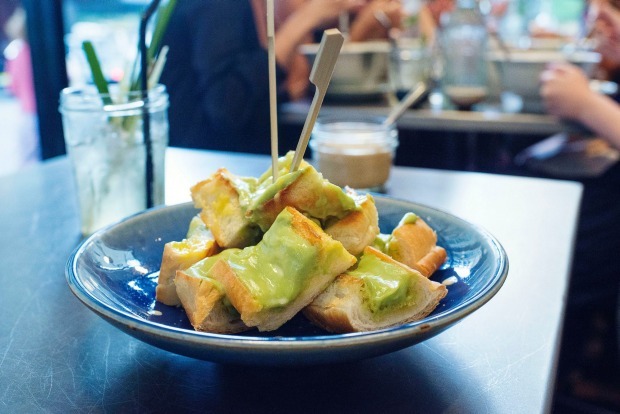 Add to that, coffee by Mecca and crowd-pleaser eats (burgers, fritters, salad) - and it's a solid show-off-Sydney option. The smoked trout hash with roasted carrot and sweet potato, crisp potato rounds and a poached egg hidden under a blanket of seeded mustard hollandaise is good enough that the location fades into the background. Looking as retro-flash as the flashest old-school cinema foyer, Matinee is a show in itself. The dream project of Charles Cameron (previously of Brewtown Newtown), this bright, sprawling space is a feast for the eyes, right down (or up) to the red fringed chandeliers. 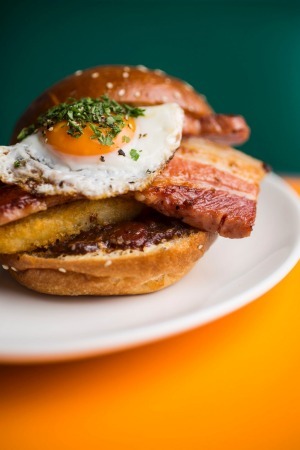 Frankie Valli on the soundtrack fits right in, and dishes such as cumin, quinoa and coriander falafel with grilled veg and smoky baba, or brekkie burger with fried egg, bourbon bacon and hash brown, are full of flavour. 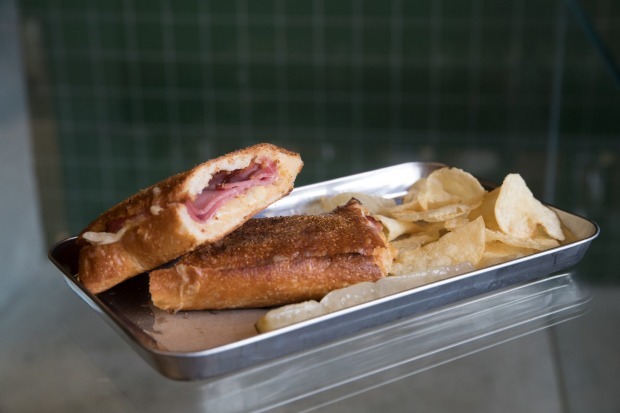 They're licensed, with beer on tap, and coffee is made with Matinee's custom blend. Mini lemon meringue tarts are worth an encore visit. 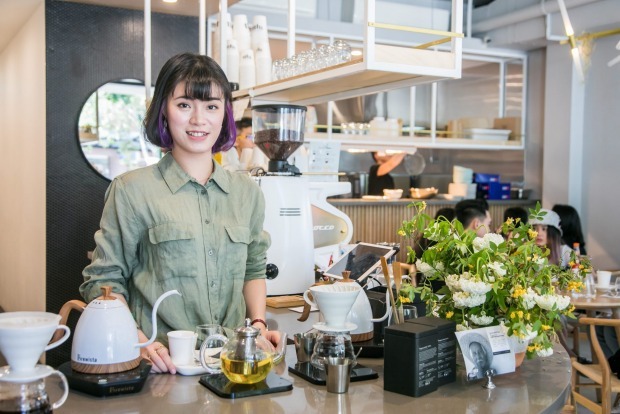 At this bright cafe, where chef Lee Li (formerly Tetsuya's) cooks with a distinct Japanese accent, patrons set records for the longest time between receiving their meal and eating. Why? 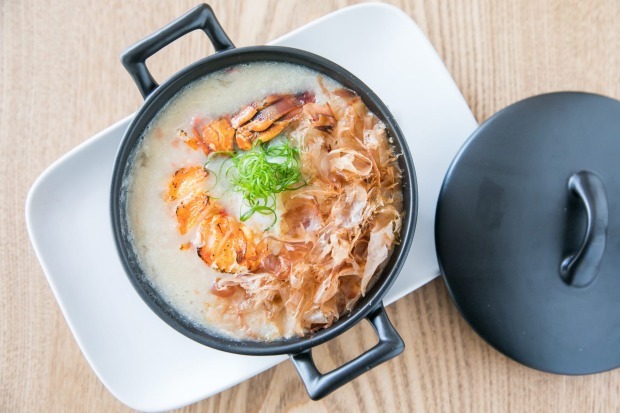 So many snaps to take: the aerial of confit duck with green tea buckwheat noodles: the selfie pouring sauce onto the matcha lava toast; close-ups of croissants with crab and scrambled egg and the lobster congee. The space is photogenic, too, with white penny tiles and big windows. Also: Tippity teas, house coffee by Reuben Hills, and guest roasters for pour over and single origin espressos. 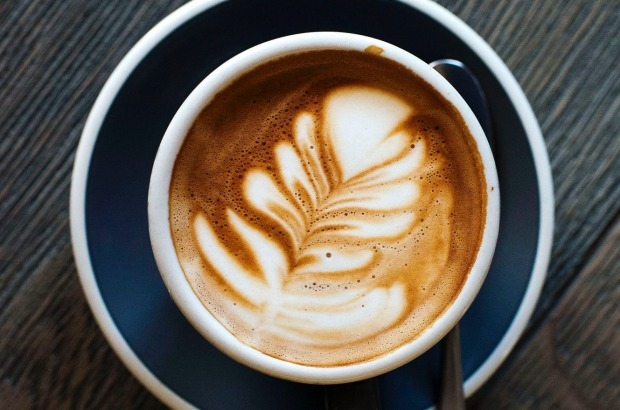 While the aim at the first Sydney outpost of Canberra's esteemed ONA Coffee is to deliver a "coffee experience" (a choice of blends for milk coffee, extensive single origin and reserve coffee lists, baristas who love in-depth coffee convos), the food is no afterthought. 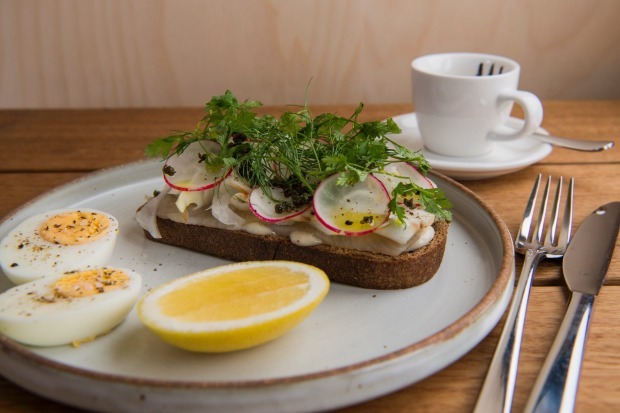 Dishes such as a classy kingfish smorrebrod with pickles, lemon aioli and capers are simple and vibrant. Short Stop doughnuts and Butterbing biscuits feature, too. 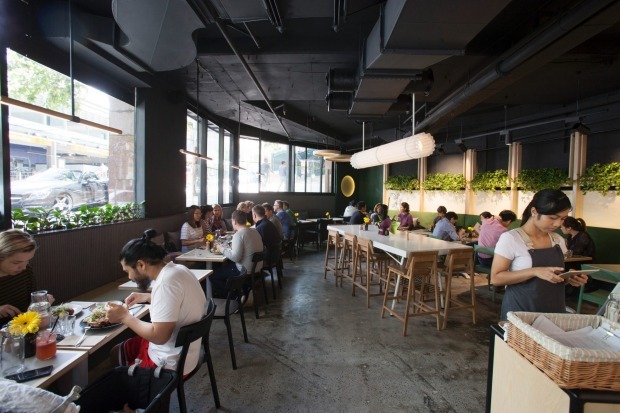 The simple, streamlined fitout encourages chatter between staff and customers, while sun streams in through the cafe's glass frontage. Of the many new developments along this busy road, this small, understated cafe is surely the one locals are happiest about. 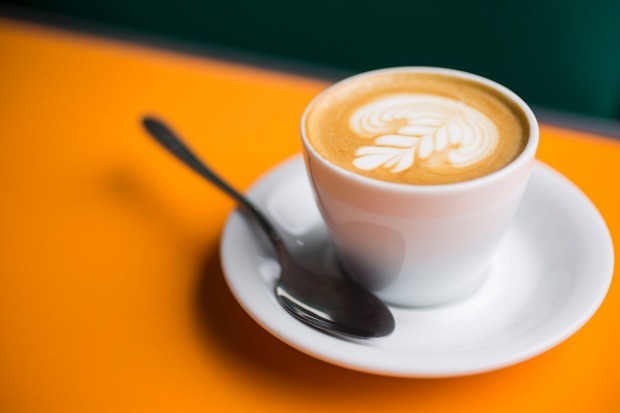 Chess playing (hence the name), coffee-loving owner Jim Papadakis has years of experience as a barista and roaster (with Campos and Little Marionette, among others) and has created the house blends under his own label, Wonderlust Workshop. 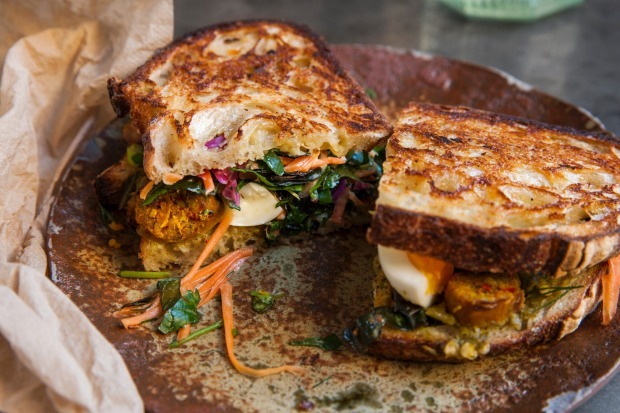 In the kitchen, Tristan Suchaut (ex the Midnight Special), puts up flavour-packed sandwiches, tartines, salad and burgers, including one with confit mushroom, house-made pickle, dukkah, leafy greens and aioli. 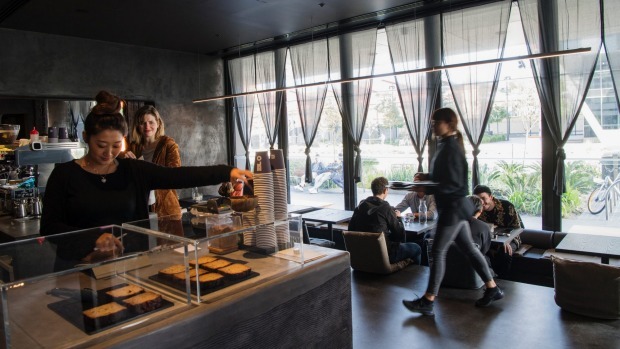 Roman Urosevski grew up making the Balkan pastries, burek, with his dad at Alexander's Bakery in Rockdale and now they're a star attraction at his small, smart-looking cafe. The burek pastry is prepared in view of customers whose eyes widen as it's stretched, flicked and spun overhead, and the end result (with various fillings) is golden, crisp and flaky. A more extensive menu features the likes of scallops and lobster tail benedict with hollandaise on a freshly baked croissant. There's also an array of sweet treats, all baked in-house. 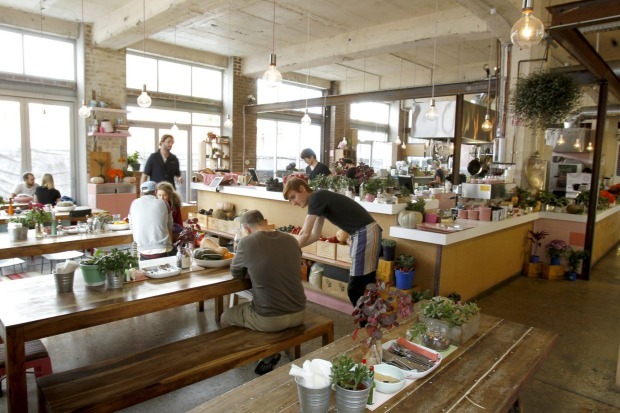 Husband and wife team Jonny Menck and Emma Fryar have discovered the formula for the perfect community cafe. 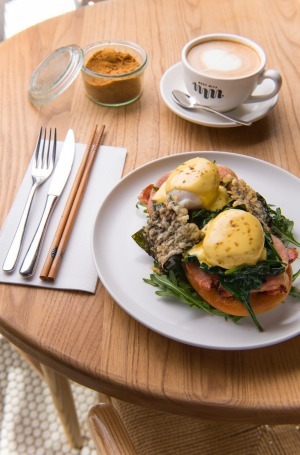 From what we can tell, it's one part excellent coffee (beans by Gabriel Coffee, with changing single origin option), one part fresh, crowd-pleasing food (the smashed avo is on Bread and Butter Project's rye, topped with cherry tomatoes, fetta, mint and a heap of beautifully tender fresh kale), one part service-with-a-smile, and one great big communal table (plus a few smaller ones). It's simple cafe science. 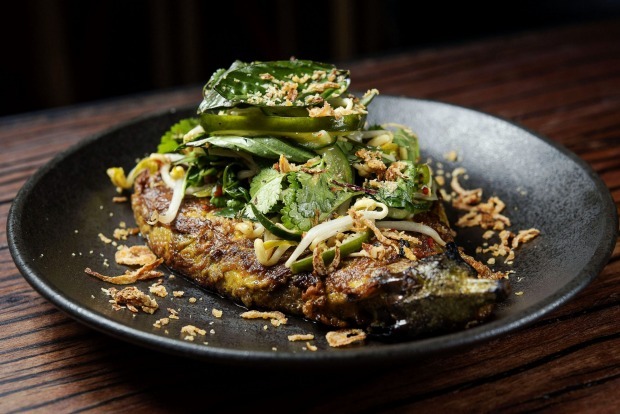 When you need a chilli chaser to your daily coffee, Boon (by the folks behind Chat Thai) is the hustling bustling place to be, and one of Sydney's original East-meets-West cafes. 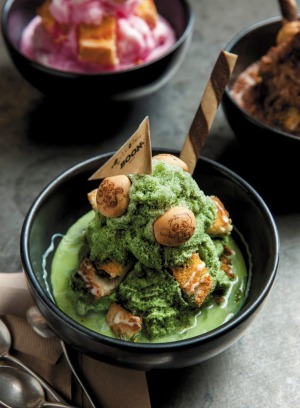 Toast with pandan custard, matcha-tea-flavoured ices, Thai coffee and tea, fried chicken with fiery green papaya salad in a burger, massive bowls of rice noodles topped with leafy greens, herbs, fried crab and prawn cake – that's just scratching the surface of what's on the menu. Who knew pink paint and pumpkins could play a role in a long-lasting love affair? But that's the case with this wholefoods canteen, its sunshiny decor all a-blush and veg-adorned. 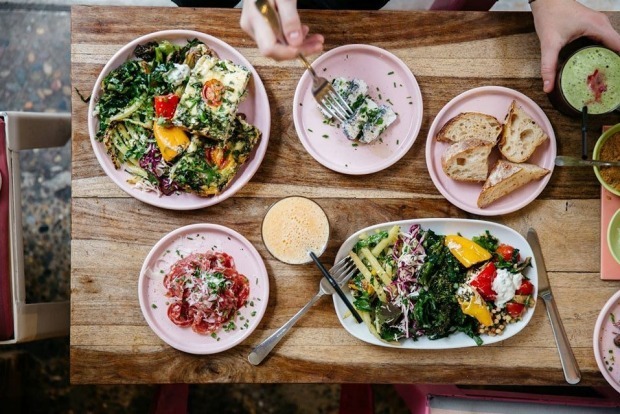 Added appeal, of course, is from brightly colourful, crunchy, salads, assorted sandwich boxes (Bangalow pork salami with pickles and parmesan, perhaps), an extensive tea selection, Daylesford kefir, Marvell Street coffee (plus guest roasters for single origin espressos) - the list goes on. Headed to New York? Seek out B&C's Brooklyn outpost, Carthage Must Be Destroyed. 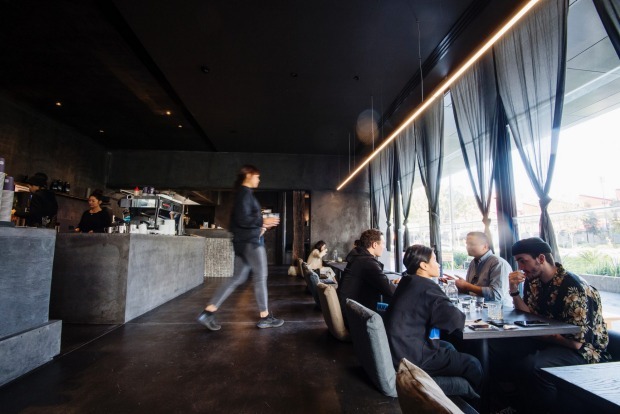 Some eight years after opening in a narrow garage space in a fairly quiet, corporate part of Parramatta, Circa just keeps getting bigger and better. 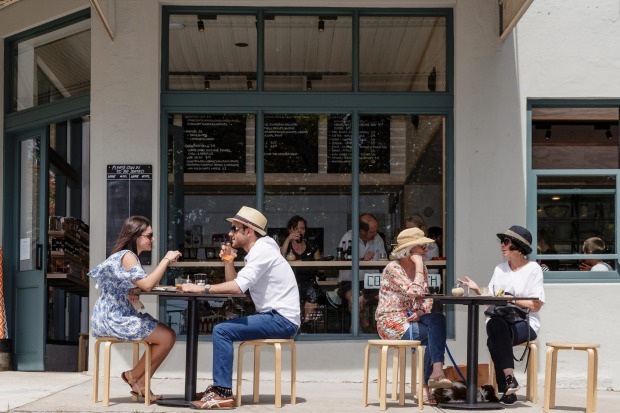 Seating now extends to the neighbouring terrace balconies, along the footpath, and around a corner, giving more people the chance to sample the specialty small batch roasted coffee, and A-grade food. "Ottoman" poached eggs come with crumbed eggplant, garlic labne, burnt chilli and sage butter. 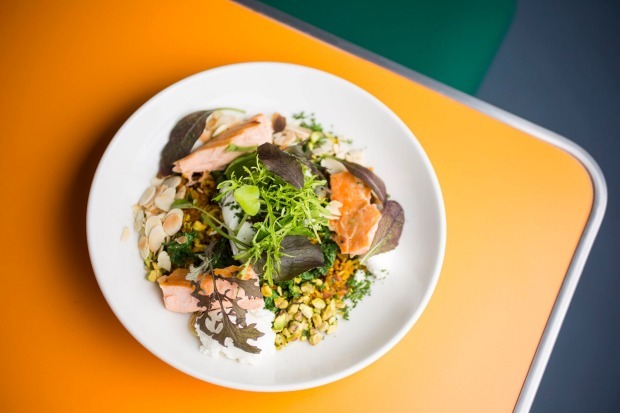 Another hit is smoked bonito with chilli fried wild rice, snap peas, pickled shallots and soft-boiled egg. 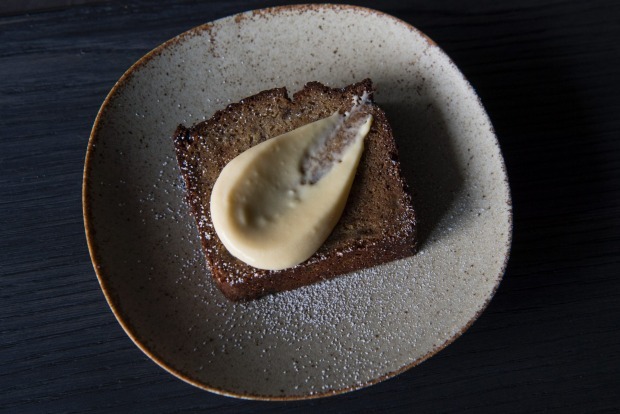 Finish with house-made sticky chai with macadamia milk. 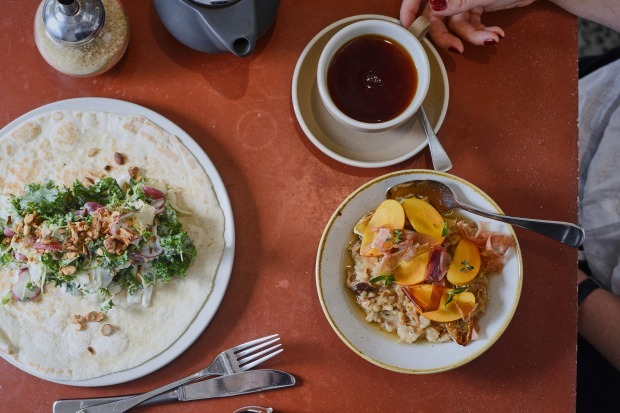 Leading the game in ethical and sustainable practices at its two cafes and picklery, Cornersmith also wins high praise for its excellent food and coffee. 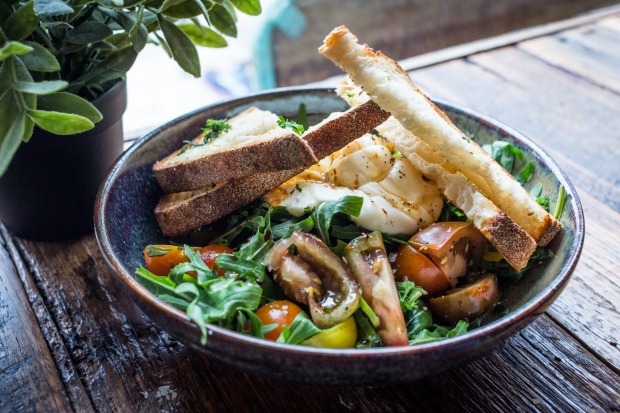 The Annandale locale, with its sunny courtyard and parkside position, is all-veg, with the Smithie's penchant for ferments and pickles a highlight. 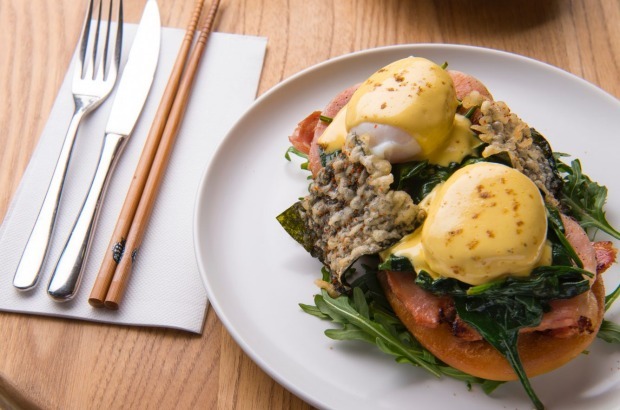 There are sandwiches and snacking plates, and knockout dishes such as okonomiyaki – savoury Japanese pancake topped with poached egg, kale and carrot salad, pickled ginger and sesame. Shop the range of Cornersmith cookbooks and pantry products to bring the goodness home. 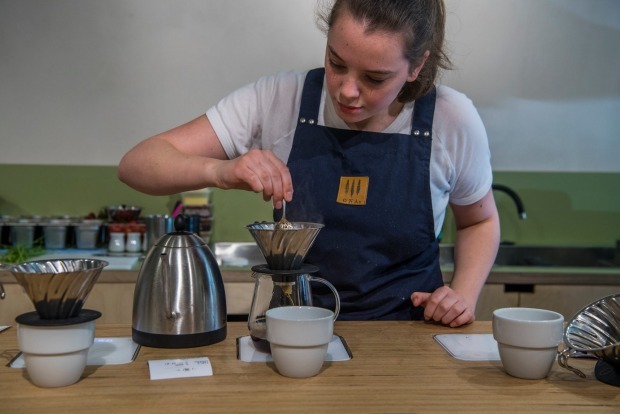 The coffee at PCP is exceptional, with vast choice in beans and brewing methods. 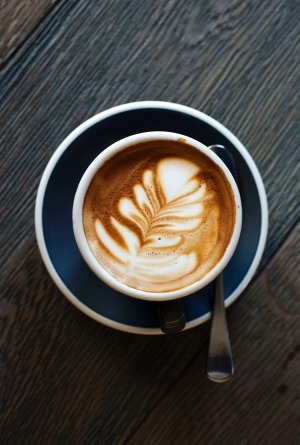 The aim is to showcase local and international roasters and producers; the result being happy customers. 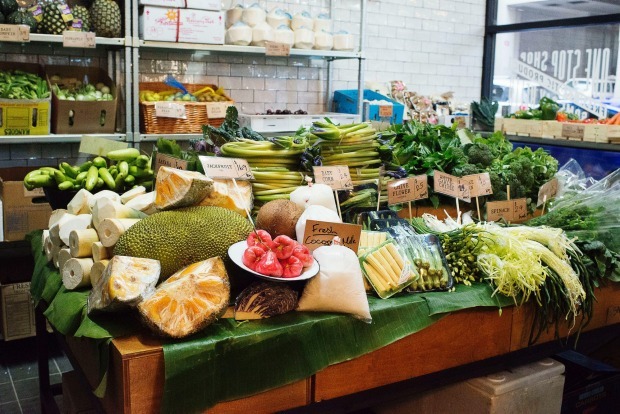 Bonus: the food more than holds its own, with dishes including coconut chowder with prawn, smoked barramundi, and crisp baked chat potatoes aromatic with lemongrass and fresh herbs. Service is thoughtful and the impressive space with its lofty ceilings and huge windows all add up to one fine package. Lunch at this motorcycle workshop/multi-level cafe a block back from Newtown's main drag means hot bowls of ramen (choose from light, dark and vegie broths, and be sure to order the sweet-spongy pickled shiitake topping) and katsu burgers, alongside filter coffee, sparkling espressos, T totaler tea, beer, wine, cocktails. 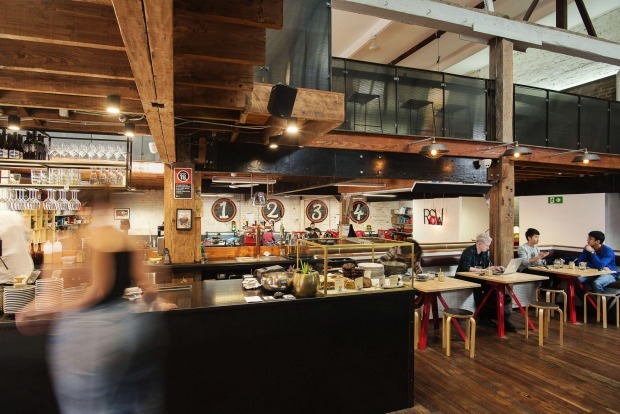 It's a good mix and a convivial vibe, as staff keep crowds around large communal tables happy. 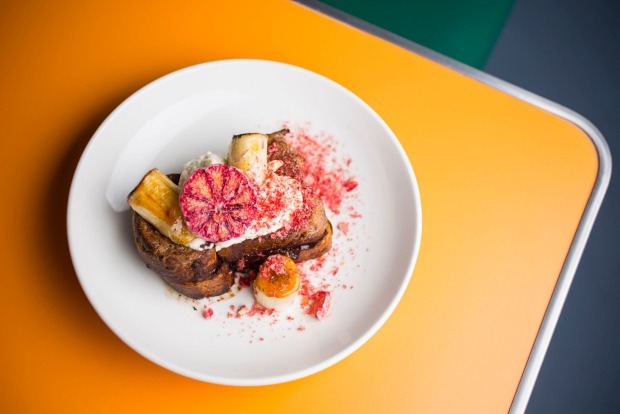 Brekkie is more wide-ranging with bibimbap, granola, simple toasts and sweets (and a brekkie cocktail from 10am). 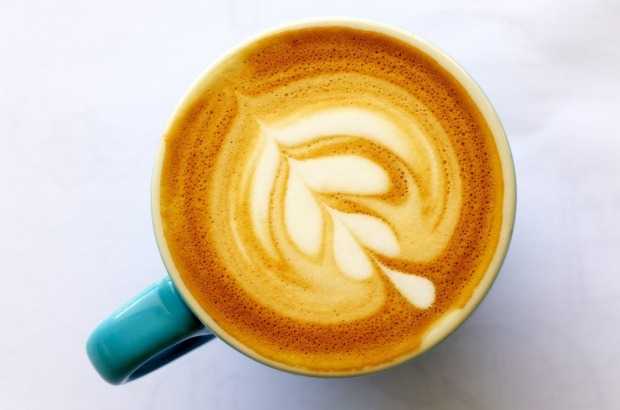 Yep, we're still loving the $2.50 piccolo, made with Single O's Killerbee blend, but honestly, what's not to love about Ruby's? The coffee and tea offerings are vast, right down to the mesmerising "dark and stormy" ginger beer-espresso combo, and food takes cafe classics off the beaten track and around the globe (take scrambled eggs, served here with split pea curry sauce, coconut, green chilli and coriander sambal and roti). 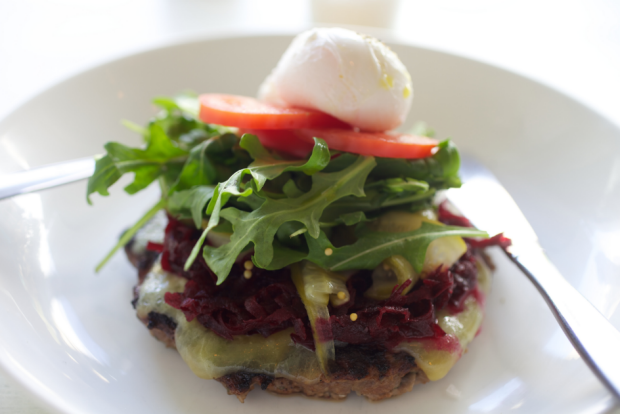 Brekkie congee is a top winter warmer, and Ruby's beef burger gets an all-seasons thumbs-up.